Not too long ago, I spent a few paragraphs on Advanced Feats: Secrets of the Alchemist, an Open Design product for Pathfinder which impressed me with its balance and utility. It's seriously very hard to balance Feats without making them too specialized to be useful. A few weeks later, they sent me a copy of Advanced Feats: The Witch's Brew, and I ... I never got around to saying anything about it - just like the earlier Secrets of the Alchemist, it's a ... well-balanced book of Feats for Pathfinder. Much like Secrets of the Alchemist, I had to have a friend who is an expert (although he'll never lay claim to the title) on D&D 3.x and Pathfinder. And by "expert," I mean "rules lawyer capable of breaking systems." When he tells me something "seems balanced," it means, "There may be something broken in here, but it'll take some effort to take advantage of." And I trust his gut feelings. They also recently released Advanced Feats: The Summoner's Circle, as well. Given the success of the first two, I can only assume that it will also be both well-balanced and useful. I mentioned that it's difficult to keep Feats balanced - and it is. You want Feats to be useful, but not so useful that they're the only clear and obvious choice. Players should have to think when choosing Feats. You also want players to be able to "flavor" their characters with Feats. It's a tricky balance - one that I would not be able to pull off for more than a Feat or two. There is no way I could put together multiple booklets like these. The KQ team ALSO sent me a review copy of Kobold Quarterly Magazine #15. Now, I was a KQ subscriber a few years ago. I didn't renew my subscription because I wasn't playing 3.5 anymore, and KQ hadn't started supporting 4E, yet. And the only Pathfinder I had was the pre-release beta PDF. That has all since changed. Well, other than the 3.5 thing. Issue number 15 starts off with some Pathfinder material - I'll be honest with you, I only skimmed the first article, which was on variant Druids. I'm sure there are ideas in there that I can use in one of the 4E games I'm in or pondering, but right now, I want to see what goodies Wolfgang & crew have assembled for 4E this issue. The second article is on the ecology of the Giant Ant. Even though it's written with Pathfinder in mind, there are some great ideas in there that I can use to modify a 4E Giant Ant. I'll admit it - I was caught by a Pathfinder article that I hadn't intended to read. The next article is "Reasons to Ride," a 4E-flavored article that makes mounted combat significantly more useful. Useful enough that I may consult with one of my DM's about the possibility of getting my Paladin a mount - like they had in the old days. A thorough reading of the article doesn't show anything broken, either. It seems well balanced. This was followed by another 4E article, this one on trapmaking for PC's - all too often, only the villains get to make all the traps, and the PC's role is limited to avoiding them. I really liked this article, even though I don't tend to play Thieves - the closest I came was 2E, when I nearly always played Bards. Then a Pathfinder article on pit traps, which a quick glance shows as having some ideas that can be easily mined for 4E. Or Burning Wheel . Or Legends of Anglerre . Or any number of fantasy games, honestly. I could probably even use these in an AD&D game, if I wanted to. There's a lot more in this issue - By "a lot more," I mean, "I've only covered the first half or so, here." James Lowder and Monte Cook both have articles that are system-free. My good friend Wade interviewed Margaret Weis at GenCon, and that's in here. Book reviews ... I could go on for another couple of hundred words on this issue. The 4E vs Pathfinder balance of the issue is pretty even - Pathfinder has a slight edge on page count, but a lot of the Pathfinder material can be adapted to 4E with a bit of work. It's solid enough that I regret letting my subscription lapse. 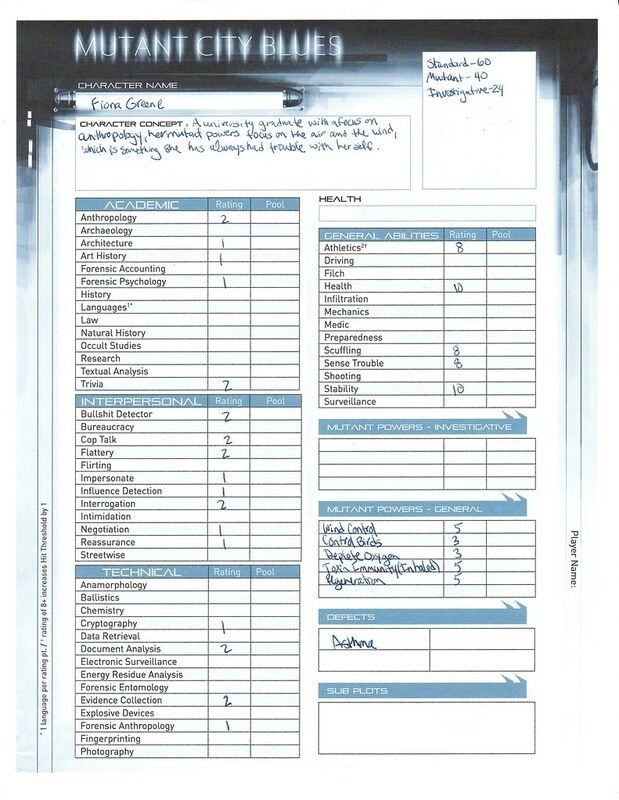 The 4E work is occasionally a bit rough, but it's the best third party 4E product I've seen - and the Open Design team aren't the sort to rest on their laurels. I look forward to next issue. You can subscribe (and order back issues) at KoboldQuarterly.com. PDF back issues (and the current issue as well) are on DriveThruRPG. If you play Pathfinder, all of the back issues will be worthwhile. If you play 4E, they started including material in Issue 6, but the page count for 4E material has crept up as time has gone by. And, of course, you can grab and adapt ideas from older issues. Please check your e-mail. If the codes aren't there, check your spam/junk e-mail filter. Your ISP is famous for filtering the wrong things. I had a total of six people enter, so your odds were all pretty good. Of the six, I know two of you from the real world, one of you from Twitter, and the remaining two of you were new to me. The winner, by the way, was new to me. One person got zero correct guesses, one person got two questions right, and four people got one question correct each, for a total of twelve entries into the drawing. ALL of you did more than just give the answers - you either provided a tidbit of trivia or a bit more information about why you guessed the way you did. It made reading your entries very interesting. Favorite Doctor: Tom Baker (the Fourth Doctor). He's the Doctor I saw on TV when I was a kid, as he was the one that got the most play on American TV in the eighties. And by "American TV," I mean "PBS." William Harnell (the First Doctor) is my second favorite. I really like the idea of a cranky old man as the Doctor. Most of you got this one right. Favorite thing about the Eccleston Doctor? Scary Daleks. I liked all of the suggestions I proposed, but it was nice to finally be able to see something scary about the Daleks. I remember them as fairly humorous villains when I was younger. I would occasionally shout at my TV to help the Doctor "Run upstairs! They can't catch you up there!" And the fact that those shells can hover and fly was the first step they took towards making the Daleks individually frightening. Thank you all for entering. I have responded to each of your entry e-mails with a personal thank you, as well. I hope to have more contests in the future - this was weirdly entertaining. Moreso than I had expected. And, most of all, thank you all for reading. I like Chinese food. There are exceptions, but - in general - I very much like Chinese food. There's one particular dish that I like. It's called "Sesame Chicken." Here's the thing, though: I've never had it the same way at two different restaurants. Not even close, sometimes. One restaurant has a dry, deep-fried chicken where the sesame seeds are part of the coating, and it's served with a gravy. One restaurant has a honey-sesame glaze. One restaurant serves me a sweet-and-sour coating on a deep-fried chicken. So far, I haven't had a sesame chicken that I disliked. I see gaming the same way. The RPG world? That's Chinese food. Each dish? That's a game. Every restaurant is a different group, and so on. Sesame Chicken? For me, that's fourth-edition D&D . No two chefs (DMs) prepare it in the same manner, but so far, it has not failed to be enjoyable. A few weeks ago, I was browing the RPG.net forums, and I stumbled across a discussion of minions. In D&D, a minion is a monster with a single hit point. If you successfully hit a minion, you kill it. Minions don't stand alone - they travel in packs with more durable foes. Now the rules - so far as I have been able to find - don't tell you if the PC's should know who is a minion and who isn't. Why is that important? In D&D, there are three sorts of powers - At-Will, Encounter, and Daily. You can use At-Will powers every turn. Over and over and over. You can use Encounter powers once per Encounter. They take a five minute rest to reset themselves. Daily powers can only be used once per day, and require a six hour rest to reset. Especially cruel DMs won't allow players that much time to rest. It's a resource management decision - before attacking someone, you have to ask yourself, Is this worth spending a Daily attack on? If it's a minion, then using a Daily is a complete waste. As you may or may not recall, I'm currently involved in two games - one is traditional table-top face-to-face, and the other is online. In neither one does the DM tell us who the minions are. This means that we end up 'testing' our foes with an at-will or two before wading into the bigger ones. Both of these games have been going pretty much since 4E was released, just over two years ago. And we've used the same set of rules since we began. So I was a bit shocked when I read in the thread mentioned above that most (if not all) DM's tell their players which ones are minions - either blatantly pointing out, "These six goblins are minions," or through description, "These six are similarly-armed with what looks like hand-me-downs from their older siblings." And, while I prefer the way we do it, I can see the appeal of knowing who the minions are in advance. I wouldn't walk away from a game using this interpretation of the rules. It's just a different kind of sesame chicken. This is not my post for the week. There has been a fair amount of interest in the Character Generation Project upon which my wife and I have embarked. So, to aid your navigation, I have added a link into the "Key Posts" box to the right that will show you all of the project posts with one convenient link. Oh - and there is another character done that you'll see in a few weeks.